Nothing makes a home look and feel more dated than having a popcorn ceiling. I offer affordable popcorn removal as well as drywall hanging, finishing, and repair services to residential and commercial clients in Lake Worth and everywhere else Florida. Whether you are constructing a new home or remodeling your current one, you can count on my knowledge and workmanship. I am a certified in the state of Florida as a specialty drywall contractor (SCC 131150149), and I have been in this trade since 1993. In addition, I have worked for several companies through the years, incorporating the best techniques I’ve learned from them into my own style. I strive to produce top-quality results in every home or business establishment I work on. Contact me today so that I can give you an honest estimate of your project. 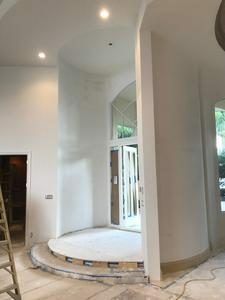 Why Hire a Professional Drywall Contractor? Popcorn removals and drywall repairs should be performed by a licensed contractor to avoid any complications that result from incorrect methods. Popcorn hides flaws in the drywall, allowing a lower level of finish. Removing the popcorn involves more than scraping it off and applying a new knockdown texture or a smooth finish. 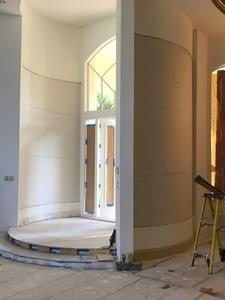 Once the popcorn texture is removed, all joints in the drywall must be checked to see if they have enough coats of the compound for the new finish to cover. Drywall should always be scraped clean. If scraping is ineffective, the drywall will have to be sanded to ensure that the surface is not chalky. A chalky surface prevents the new texture finish or paint to be properly bonded. You should also look out for drywall damage once the popcorn is removed and the surface is clean. All dings and tears in the drywall paper must be fixed because they tend to become visible through the new texture or paint. If popcorn removal is done correctly, your ceiling should not look like it has just been repaired. There should be no visible joints or residue from the existing texture. Simply put, your ceiling should look nothing less than brand-new. Are you interested in having the popcorn removed from your ceiling? 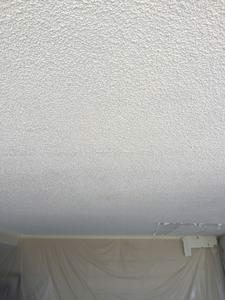 Nothing dates a home more than having a popcorn ceiling - call me for a free estimate. I am a State of Florida Certified Specialty Drywall Contractor. I specialize in Popcorn Removal, Smooth Ceilings, Knockdown Texture, Drywall Restoration, Drywall Repair, Hanging and Finishing of new Drywall. I have worked in the trade since 1993. 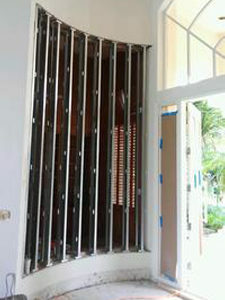 Since then I have worked for many reputable contractors in Palm Beach, Broward and Martin counties. I learned different techniques and incorporated the best of them into the way I do things. The company has my name on it and I stand behind my work quality.